Hardwood flooring has been the flooring of choice in many homes for centuries, offering beautiful natural charm and a long lifespan. Hardwood also offers tons of variation in style, each individual plank rich with natural wood grains and knot marks that make it a unique work of art. Hardwood floors change over time with the normal wear that comes with age, with opportunities for refinishing over many decades. With the proper care, your hardwood floors will remain beautiful for a lifetime! 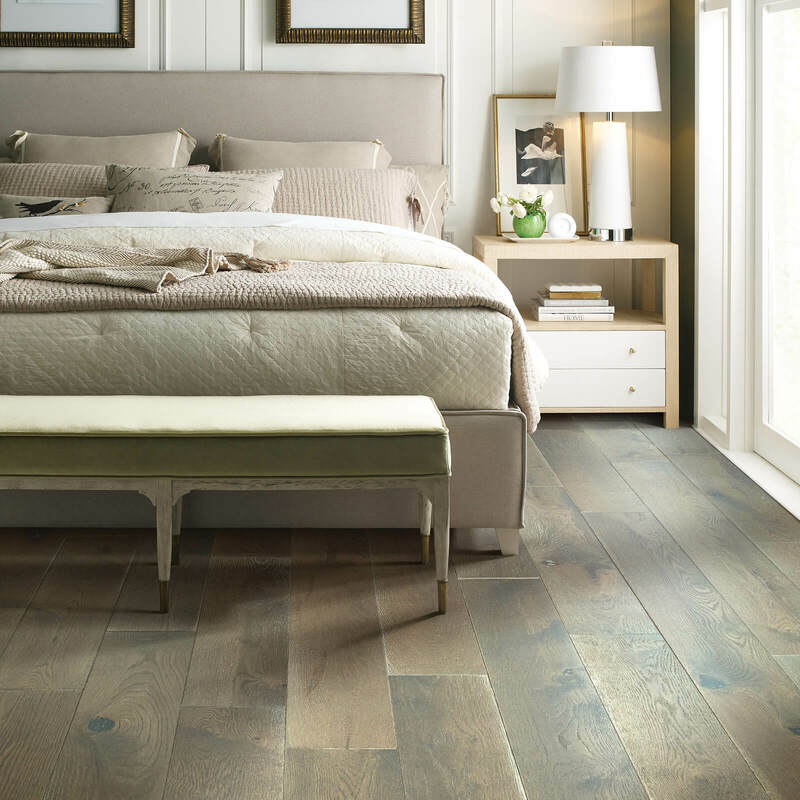 Browse the many fine hardwood flooring solutions we have on offer here at Carpet Advantage! 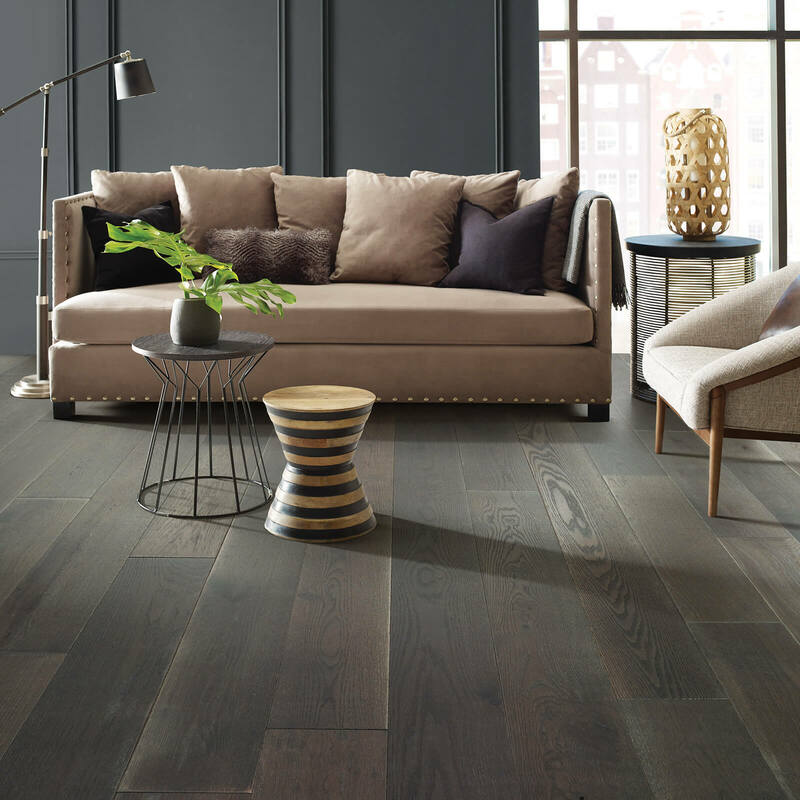 Check out our gallery of hardwood flooring styles and get inspired to use hardwood in our own home! 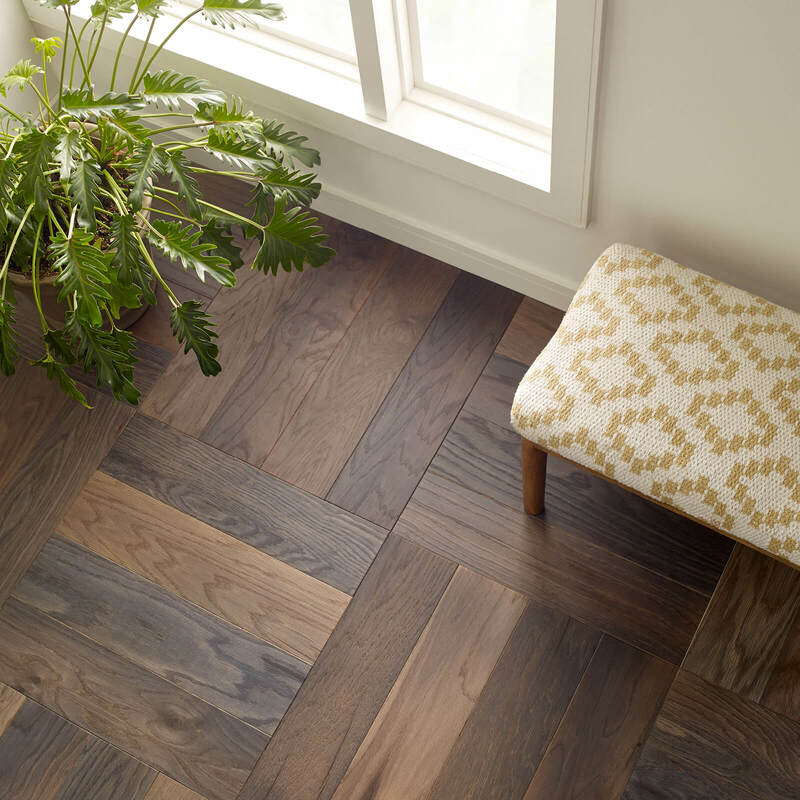 Ready for your hardwood flooring installation? Check out our guide and learn what to expect on installation day. Learn how to properly clean and care for your need hardwood floors and keep them looking and performing like new for many years to come! The species grown in the United States are called domestic hardwoods, while imported products are exotics. Carpet Advantage gives our customers the opportunity to support local and domestic businesses by buying hardwood floors proudly made in the USA from high-quality materials. We offer domestic hardwood floors in maple, oak, American cherry (as opposed to Brazilian) American walnut (again, not to be confused with the Brazilian variety), pine and hickory. If you are looking for a more exotic look, commonly available species include mahogany, bamboo, Brazilian cherry and Brazilian walnut. Neither of these lists is fully comprehensive, either –you’ll find many more hardwood options at your disposal when you shop with Carpet Advantage here in Allison Park and the greater Northern Pittsburg metro area! While shopping for hardwood, you’ll likely come across two other categories – solid and engineered wood. The main difference between these two is in their construction. Solid hardwood planks are each made using one single, solid piece of wood, while engineered planks are constructed from layers of high-quality wood materials. The latter is less durable, but more versatile – you can install engineered planks on any grade of your home, including in the basement. An advantage of solid hardwood is in the average thickness of each plank. 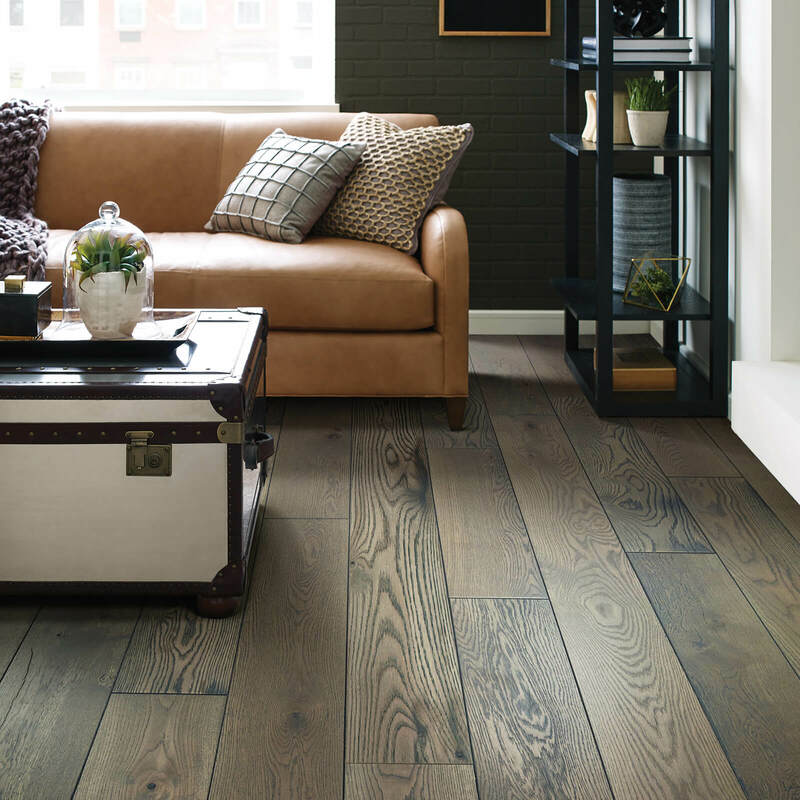 Standard hardwood planks come in ¾-inch size, which is far more durable than the ½-inch or 3/8-inch sizes that are common for engineered planks. You can also refinish solid hardwood many more times than engineered, which can only be sanded down once or twice during the lifetime of the floor. An especially unique look for your hardwood floors is a distressed style, the result of putting planks through certain manufacturing processes that give them the look of antique or reclaimed wood. This much sought-after style is always easy to obtain naturally, so out-of-box distressed wood makes the look more accessible and affordable. Some examples include hand-scraped and wire-brushed looks, both of which are right at home in rustic, country-inspired room designs. 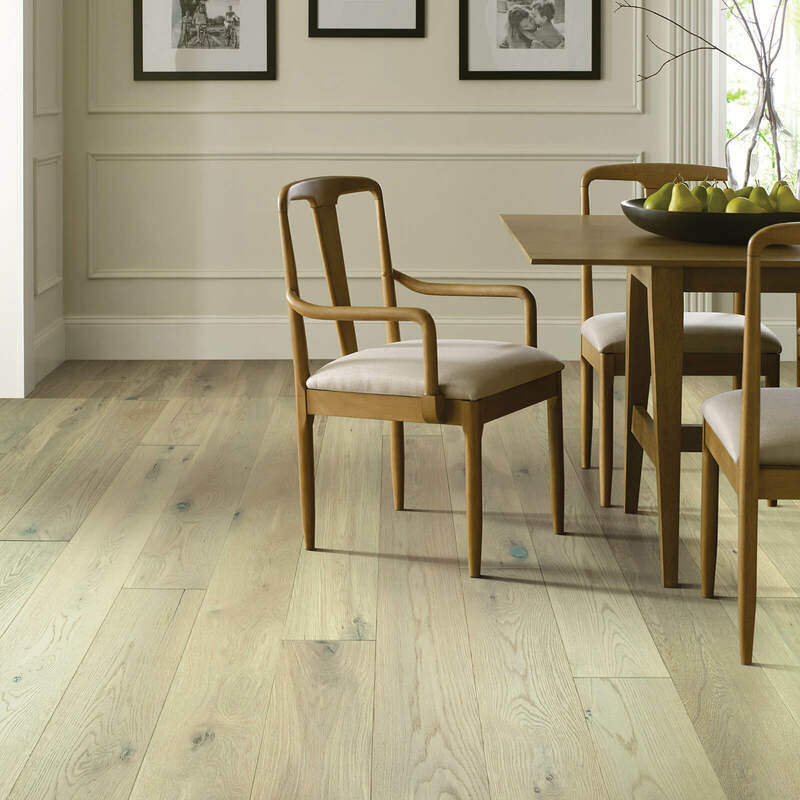 Talk to one of our experts here at Carpet Advantage to learn more about your style options for hardwood floors. If you still have any questions about hardwood flooring after reading our guide, please feel free to reach out to us online or in-store! We’re proud to be your leading flooring experts in Urbana, IL and the surrounding Champaign, metropolitan area.